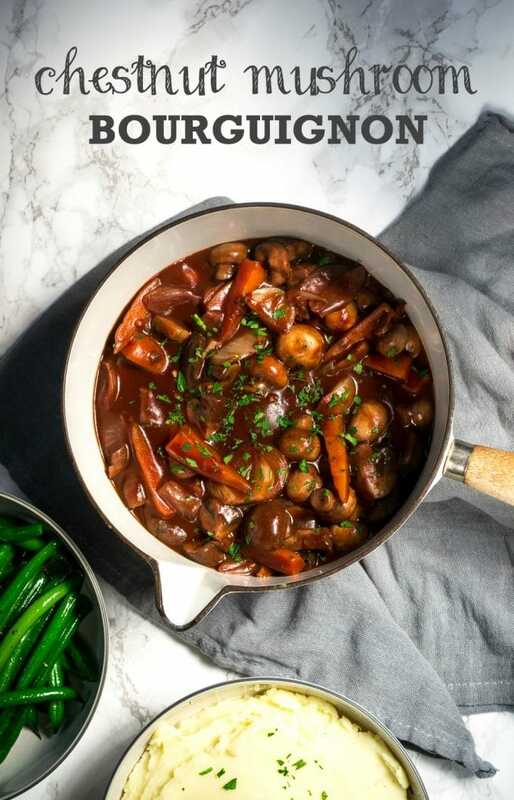 Juicy chestnut mushrooms cooked in a rich and glossy red wine gravy… this is a warm, comforting dinner which has the added bonus of leaving two thirds of a bottle of red wine going spare for a cosy night in. 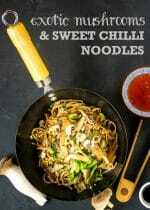 This is the latest in my ‘20 Minute Meals‘ series, and is suitable (as always) for both vegetarians and vegans. 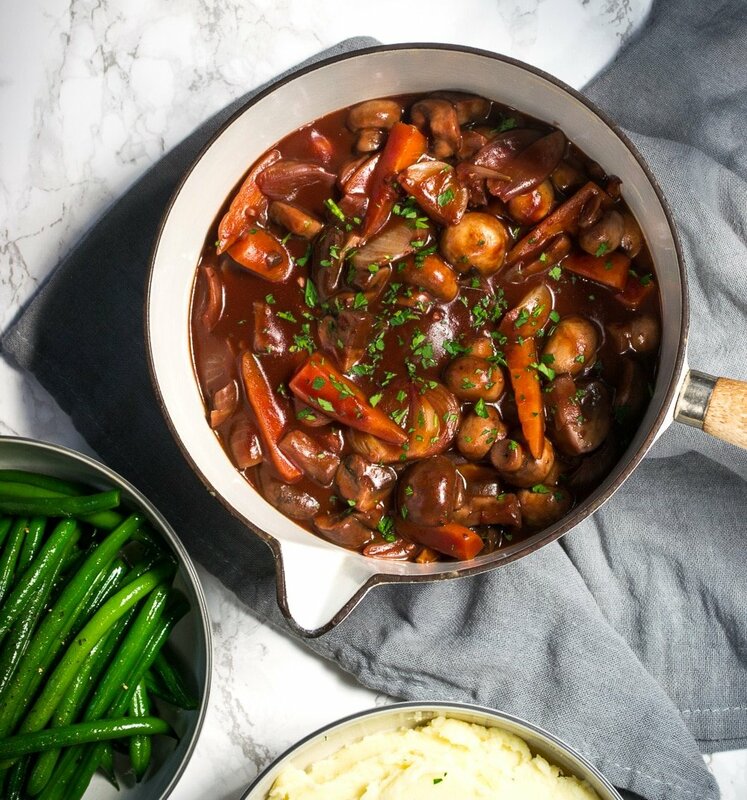 Make sure you cook the bourguignon over a fairly high heat, it should be bubbling vigorously throughout to ensure it reduces to its thick, glossy sauce before your 20 minutes are up. 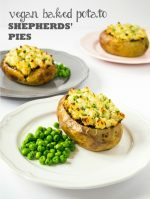 This is delicious served with mashed potato spiked with wholegrain mustard, or for a protein boost, make butterbean mash instead. 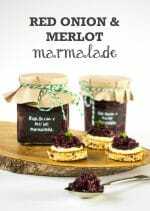 Or how about turning this into a showstopping Sunday lunch by covering it with homemade rough puff pastry to make a rich red wine pie? 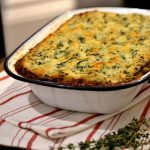 Or using the mashed potato as a topping to create a rich and boozy ‘posh’ Shepherds’ Pie? Yum! I’ve specified chestnut mushrooms in the recipe because they really keep their texture when cooked, and don’t tend to shrink to nothing like other mushrooms, but do experiment – if you’re entertaining and can stretch the budget a little, mixed wild mushrooms would be a real treat too. Heat the oil in a large frying pan or casserole over a high heat. Peel and chop the shallots and add to the pan with the garlic. Trim and halve the carrots lengthways, (or quarter them if they are large) and add to the pan. Clean and cut the chestnut mushrooms into quarters, and clean the button mushrooms. Add to the pan and cook for 2 minutes. Stir the flour through the mushrooms, then add the red wine. Bring to a vigorous boil for a minute, then add the water, stock powder and tomato purée. Cook over a medium to high heat until a thick, glossy sauce has formed and the mushrooms are just cooked through but not too soft. Taste and add salt and black pepper as necessary. Roughly chop the parsley and stir two thirds through the bourguignon, then plate up and sprinkle over the remaining parsley. 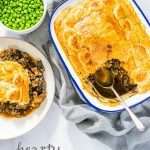 Hearty Mushroom Ale & Lentil Pie. 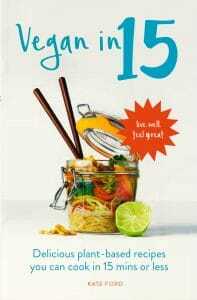 And if you’re looking for quick vegan recipes, my book ‘Vegan in 15‘* might be just what you’re after! Elinor Kugler recently posted…Super Easy Roasted Veggie Salad! That’s just crazy, that this is cooked in 20 minutes. Well, no one can say they have no time to cook. This one looks especially gorgeous. I’d have to serve it with mashed potato. Shared! This looks so rich and delicious. Pure comfort food, so it would be mashed potato for me. Actually I quite like the idea of mashed butterbeans, but CT can’t eat them, which is rather annoying. This made a lovely supper on a cold winters evening. Any way to accomplish this in the crockpot?! I would say its a tricky one to do in a slow cooker as you need the heat to get the mushrooms to a nice consistency and to get the wine to burn off. You could give it a try but i”m not sure you would get the same consistency. Does this recipe reheat well? 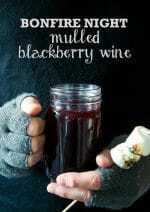 I’d like to make it for a potluck Christmas dinner. I would say it is better eaten straight away – the mushrooms go a little claggy and the sauce tends to over-thicken a bit if left. Looks divine, cannot wait to try the recipe. Do not have any tomato puree, can I use tin chopped tomatoes or tomato sauce, and I am one, so can I freeze or eat the following day? When hubby was alive I would always make with good steak and a bottle of good red wine and freeze, usually the last serving would be beginning of April and it would take hours prep and cooking. However this 20 mins is marvellous and no meat even better. Fabulous, usually cooked this for hubby and myself, since his passing I have gone off meat, so in 20 mins instead of 2hrs cooking time and 1hr prep, now just 20 mins great. 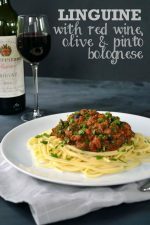 Can I use tin chopped toms or tomato sauce instead of tomato puree. 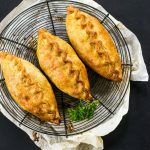 Can I freeze as cannot eat 2 portions or save for next day? 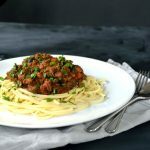 One of my favourite recipes to convince meat eating friends that the meat isn’t what gives the flavour. I add celery and a large glued ought of balsamic to this. Next level! 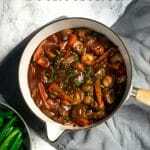 I’ve just made this Chestnut Mushroom Bourguignon and it was awesome. 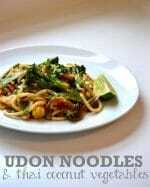 I’m not vegan or vegetarian but this was such a delicious recipe, I’ll definitely be making it again. This sounds amazing! Any thoughts on a replacement for the wine? Weird request, I know, but I’m pregnant and I get nervous about how much truly “burns off” with cooking. If not I’ll just have to save it for post-partum enjoyment! Thanks for sharing! Made this and it was delicious! I put it into a dish and covered it with mustard mash. Do you know how many calories the recipe roughly contains? Thanks for a great recipe! Oh I love the idea of mustard mash with it – yum! Sorry I haven’t worked out the nutritional info yet but plan to go back through all my old recipes and do that soon so will let you know when I do. I wouldn’t freeze it to be honest – mushrooms turn slimy when frozen and this dish is all about their lovely ‘meaty’ texture.